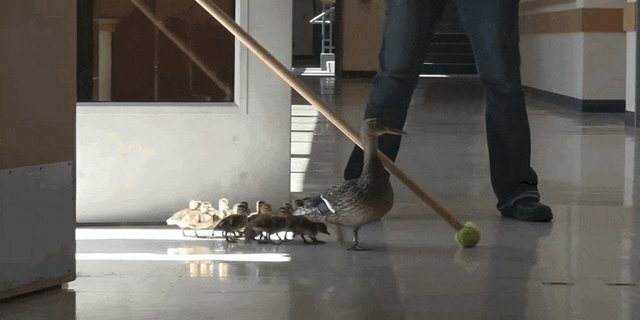 Every year, a mother duck lays her eggs in a courtyard at Prairie Mountain School in Eugene, Oregon. 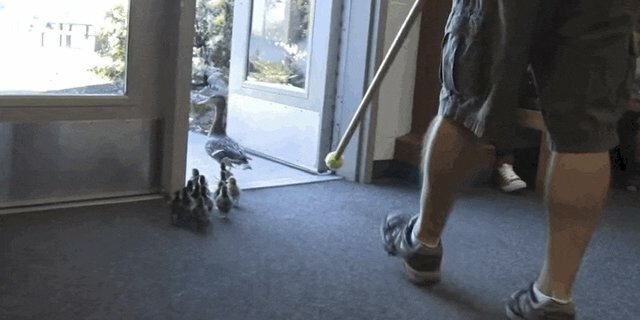 The courtyard is boxed in by the building with no way out - and so every year, the mother and her ducklings are led on a walk, through the school, to freedom. 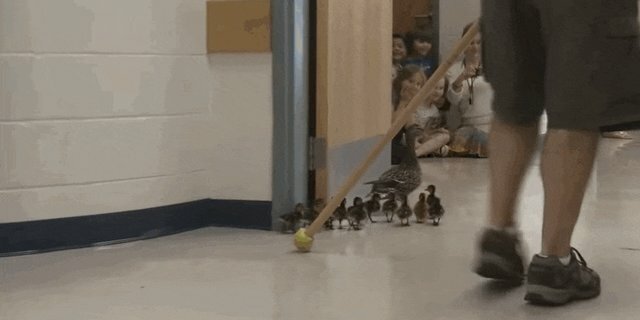 The annual duck walk has become quite the occasion, and every kindergarten class in the school gathers to watch the ducks on their march. 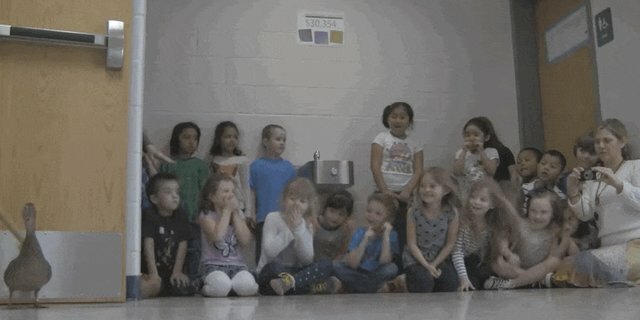 Of course, there's lots of cheering and plenty of gasping as the little cuties make their way down the halls. ... until they finally emerge outside. 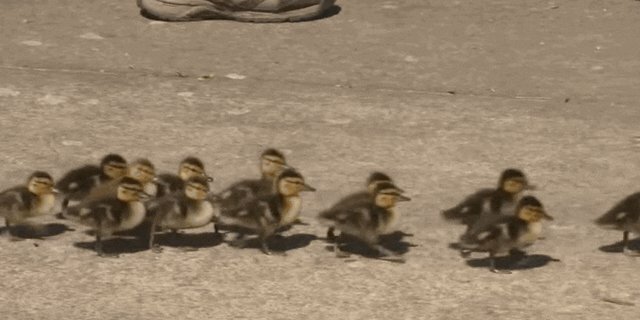 The whole family is led to a nearby wetland, where the mama duck can continue to raise her babies in peace. 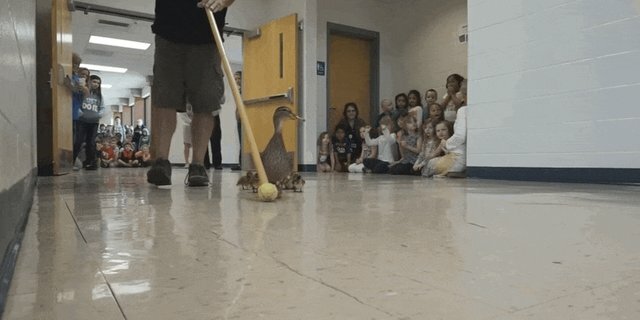 Clearly the school must have made a great impression on the mother duck, because she keeps on coming back to that same spot. The teachers, staff and students definitely don't mind though - as long as she keeps on coming back, they'll continue to welcome her and her babies with open arms.